King Herod responded to this situation with distress, envy, and rage in lieu of repentance, humility, and docile surrender. As they gathered, Balaam’s ancient prophetic utterance must have been recalled among the chief priests, the scribes, and this loyal King to the Roman emperor. We read about the prophecy in the book of Numbers, “I see him, though not now; I observe him, though not near: A star shall advance from Jacob, and a scepter shall rise from Israel, that will crush the brows of Moab, and the skull of all the Sethites, Edom will be dispossessed…” (24:17-18a) In reflecting upon the news of a newborn’s birth, Herod chose to emphatically resist the Word of God. The feast of the Epiphany reveals numerous lessons for us. Truly, the Lord passionately longs to manifest Himself to humanity. 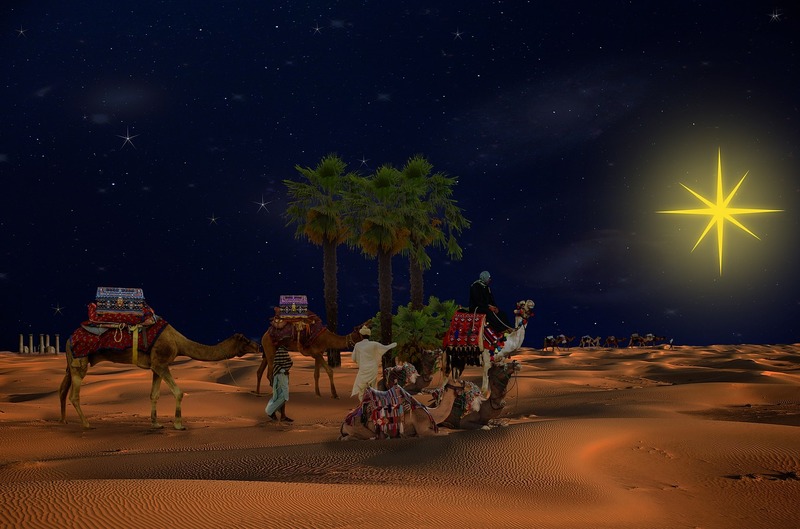 To the Magi – and to the world in general – Almighty God lifted up a singular star to reveal something new. In similar fashion, our Savior will accomplish whatever He sees best to demonstrate He is powerfully and mercifully among us. How do we respond to His revelation? How much do we sincerely yearn for God to reveal Himself and His holy will to us? And when He does, will we recognize and acknowledge God in our midst? Christians are called not only to perceive God’s presence among us, but also to allow ourselves to be led by Him. Hence, discipleship is a strong theme in this biblical account found in Matthew’s Gospel. The Magi followed the guiding star that led them to Christ. Comparatively, a true disciple must follow the guidance and manifestation of the Holy Spirit with immense faith, diligence, and perseverance despite the oppositions and trials. There will be Herods in the world attempting to dissuade, deceive, or discourage us on this path of salvation. Nevertheless, we ought to be docile and obedient to all movements that draw us to Christ and overcome all challenges with patience and courage. Where can we find the necessary strength to follow the Lord, accomplish His will, and manifest His existence and presence to the world? By returning again and again before the Blessed Mother Mary, who holds the Divine Infant Jesus in her maternal arms. She will listen to our petitions and present them to the Son of God. In truth, her supplications for us are more powerful and effective than the prayers of those on earth who pray for us. Consequently, the Holy Rosary is a powerful prayer experience because we continuously ask her to pray for us sinners now and at the hour of our death. It is also together with Mary Most Holy that we can perfectly adore Christ our Lord. In those moments of adoration – which for us Catholics is consummated when we go before the Blessed Sacrament – we regain the spiritual vigor to live for the King of Kings and Lord of Lords. Certainly, we must prostrate our entire life before His divine will and do Him homage wholeheartedly. When we do this, my friends, we will become that exceptional star of Bethlehem to others, and they will encounter the Prince of Peace and Redeemer of the world through our Christian living. Beautifully written, thanks for posting this article!!! You’re welcome and God bless you. Thanks for visiting!